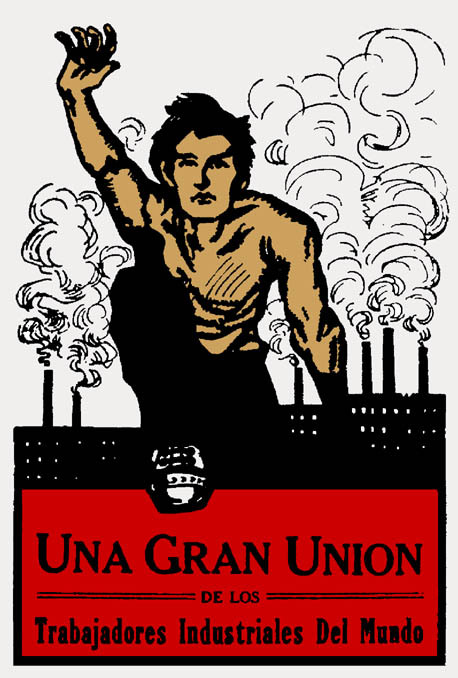 Below are Resolutions passed at IWW past Conventions/General Assemblies. Thanks to Fellow Worker Robert Rush and Fellow Worker Sparrow for there work compiling this list. The Industrial Workers of the World extends greetings to then people of Poland, and congratulates you on the success in establishing your union, Solidarity. We also commend you on the direct action techniques you have used. Further, we express our desire to maintain contact between our unions. Cortez read a resolution saying that the IWW would support the tourist boycott of Guatemala. It was moved and seconded to approve this resolution. Carlos Cortez said that not much of this tourist money trickles down to the workers. Mike Hargis mentioned the successful example of the Coca Cola boycott around Guatemala. The resolution to support the boycott passed. “The Industrial Workers of the World reaffirms their support of the Nicaraguan people in their struggle against United States imperialism. motion to approve the resolution was made and carried. The resolution was approved on voice vote. resolution was approved on voice vote. 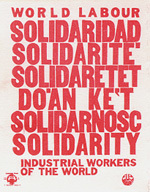 "Whereas, Free trade unions and other political, social, religious, and cultural institutions created by people independent of state intervention or influence are the basic foundation upon which a free and non-exploitative society can be built; and Whereas, The people in communist -party dominated Eastern European countries are struggling to build these institutions in the face of official and unofficial persecution and terror; and Whereas, The dissident peace movements of Eastern Europe that call for cooperation with Western peace movements to establish a nuclear-free, neutral central Europe, offer a practical hope of avoiding a nuclear holocaust and building a free and peaceful Europe; therefore be it Resolved, That the IWW in general convention assembled pledges our full support to the free trade union Solidarity and the Freedom and Peace movement in Poland, the Charter 77 movement in Czechoslovakia, the Moscow Trust group in the Soviet Union, the Bulgarian CNT, and similar movements for a free society in other communist part-dominated countries; and be it further Resolved, That we call upon all IWW members and others who support these principles to do all that they can to aid in the struggle of anti-capitalist Eastern European dissidents, by organizing support for political prisoners and such other means as may be appropriate." resolution carried on voice vote. "That the GST send letters of support to the United States Government Nurses Union in Sri Lanka and the Textile Garments and Leather Workers Federation of Thailand in support of their strikes of 7000 nurses and 3000 textile workers respectively, and letters of protest to their employers. We further call upon North American workers to boycott Londonfox, Puma, and Adidas garments until the strike in Thailand is resolved." The resolution as approved on voice vote. Cortez: Move to Support the Mohawk community at Kanesataka, near Oka, Quebec, in their efforts against Canadian military encroachment upon their lands. A vote to call the question passed. The resolution passed 16 to 5. BE IT FURTHER RESOLVED, that the IWW will not purchase bonds issued by the International Bank for Reconstruction and Development (the World Bank). In addition, we call on workers and unions throughout the world to do the same. BE IT FURTHER RESOLVED, that the IWW calls for an immediate cancellation of all debts owed to the World Bank.